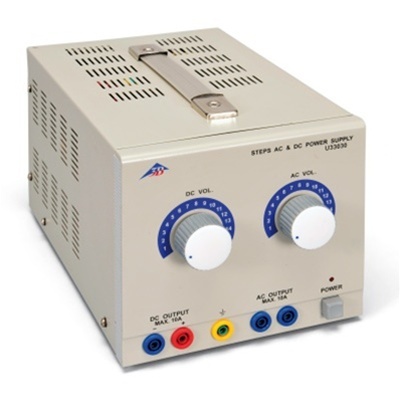 AC and DC power supply adjustable to various levels and housed in metal case. Particularly suitable for experiments by pupils and for lab practicals. Features stabilized DC voltages. Outputs are galvanically isolated and short-circuit-proof.